Best price guaranteed. If you can find Villa Amman cheaper, we'll match it. 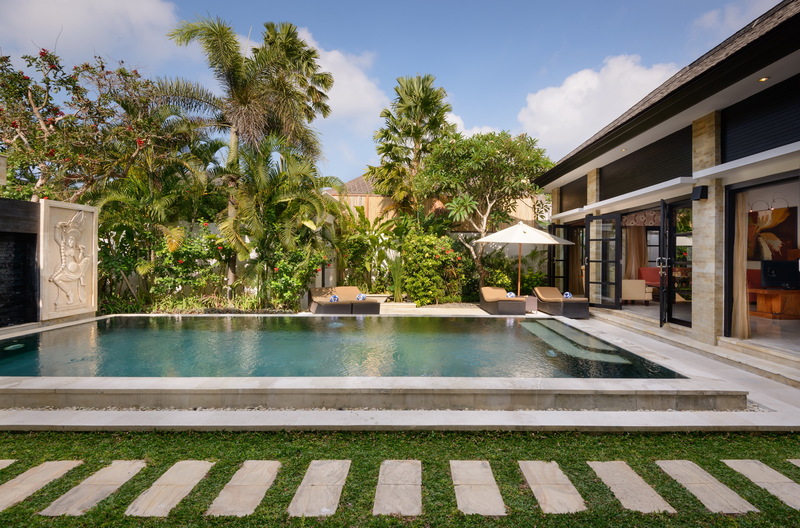 Located in The Residence Seminyak villa complex found within the heart of Seminyak is a modern, spacious villa called the Villa Amman. 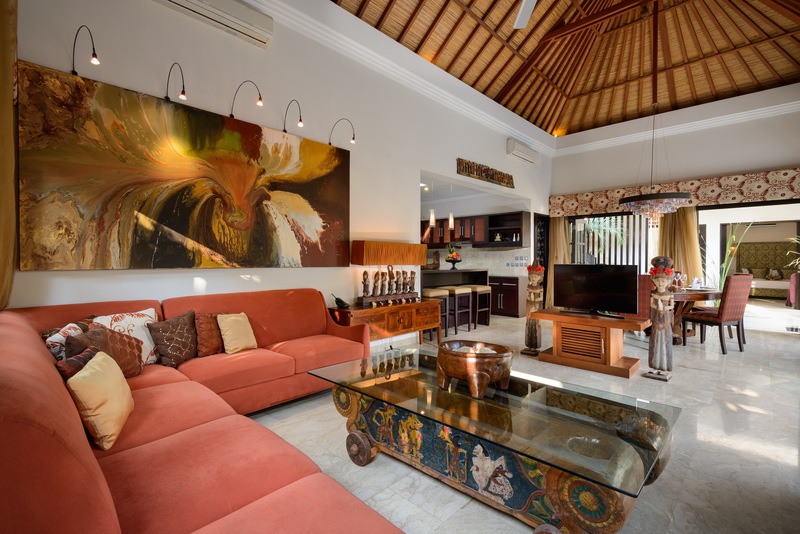 This private luxury villa is perfect for groups, as it has 4 spacious bedrooms, a private swimming pool, tropical gardens and an outdoor/indoor living space. Enjoy a peaceful stay in Villa Amman and rest assured knowing that this villa is just moments away from tourist spots in the area, the airport included. 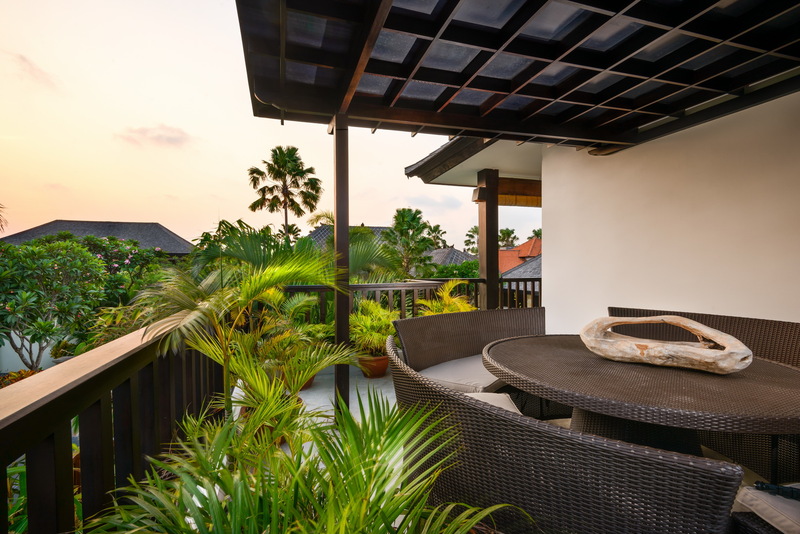 Enjoy a luxurious vacation in the comforts of this well-secured villa, which also includes a private security guard so you know you are well-protected day in and day out. 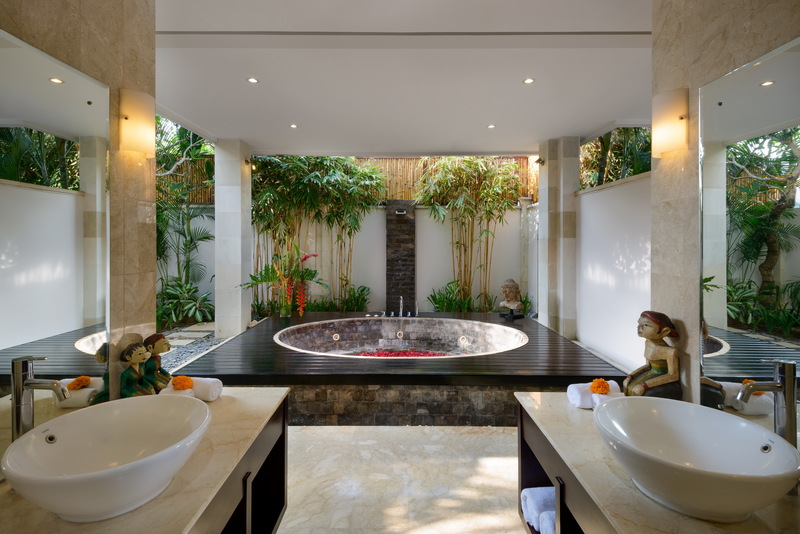 Villa Amman has one private swimming pool and outdoor garden where you can relax in. 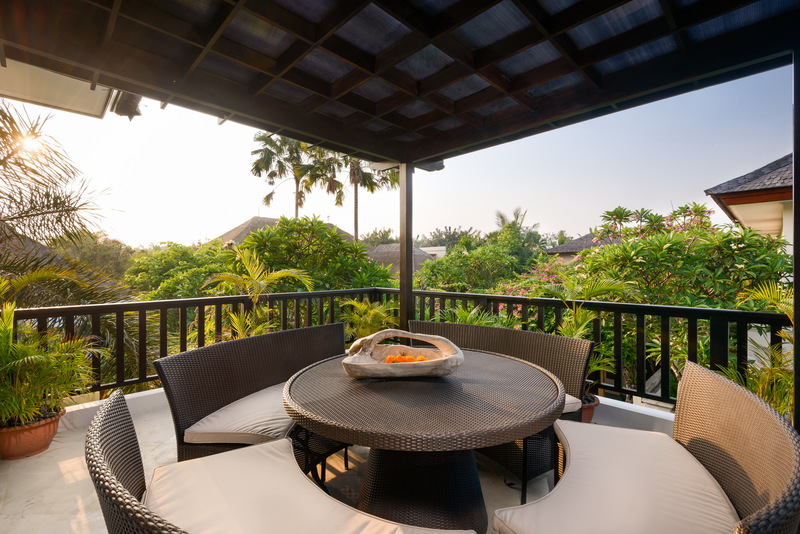 Sun lounges are available by the poolside and the garden features tranquil fish ponds to complete your view. 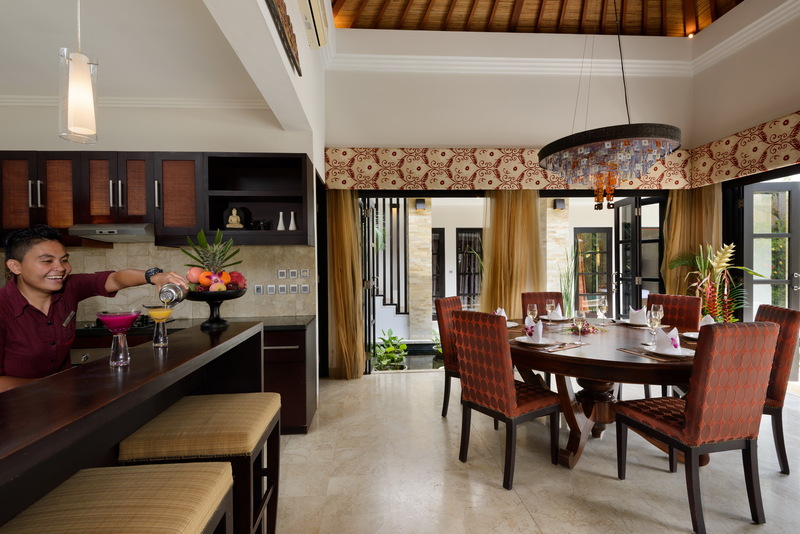 Villa Amman features contemporary architecture of high ceilings and large timber bi-folding doors and louver windows, which apart from functioning aesthetically, also allows the cool sea breeze to reach you inside the villa. 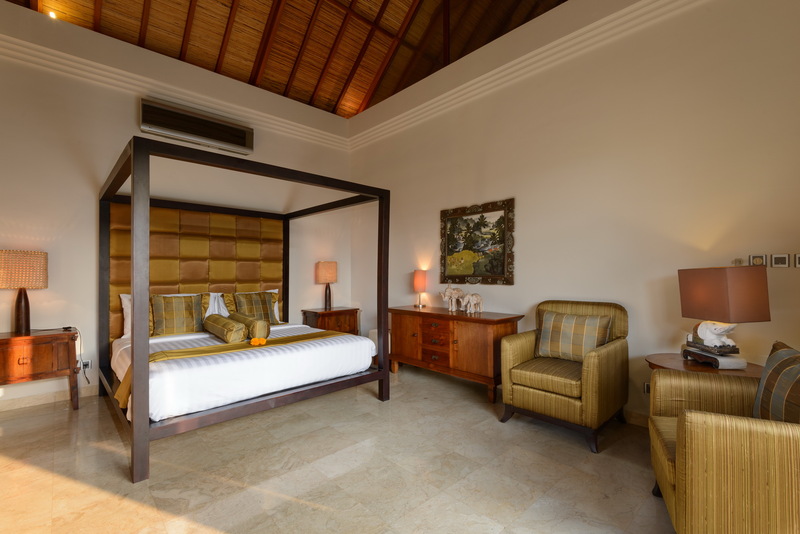 The villa itself is also fully air-conditioned, with custom furnishings and marble floors that complement the tasteful architecture of the place. 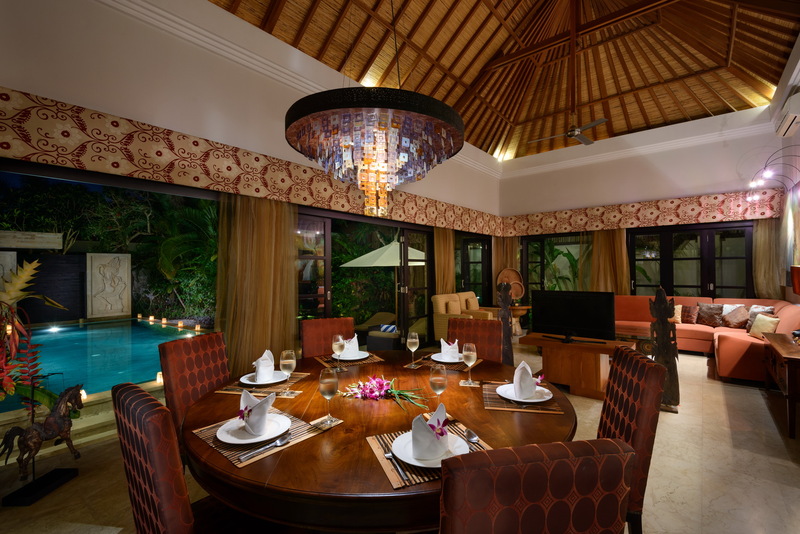 The villa is lit with LED lighting and a surround stereo system is installed to help set the right ambiance. The adjoining room is a fully-equipped kitchen that can seat 8 people; this is where a free breakfast is served every day. You can also request cooked lunch and dinner but for an added cost. There are 4 bedrooms in Villa Amman, each with their own shower, a separate water closet, private garden, AC, ceiling fans, built-in closet, study desk, LCD TV and DVD player. 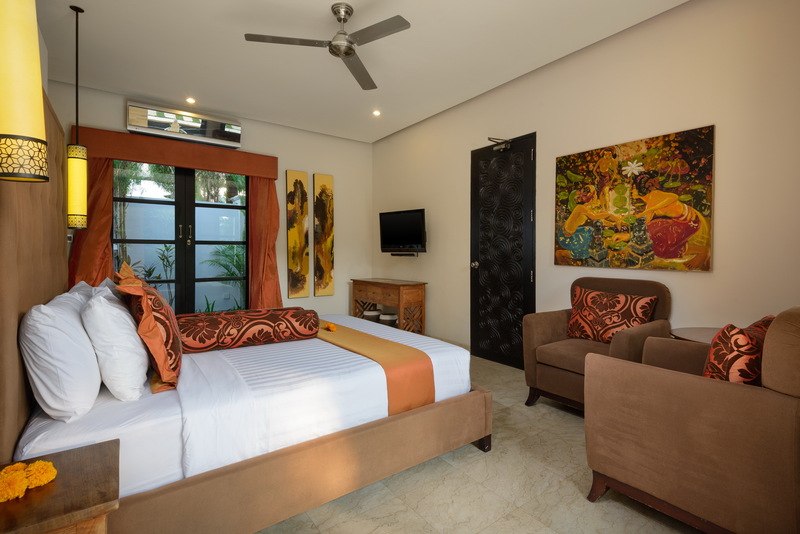 Two of the bedrooms have king-sized beds, while the other two have queen-sized ones. 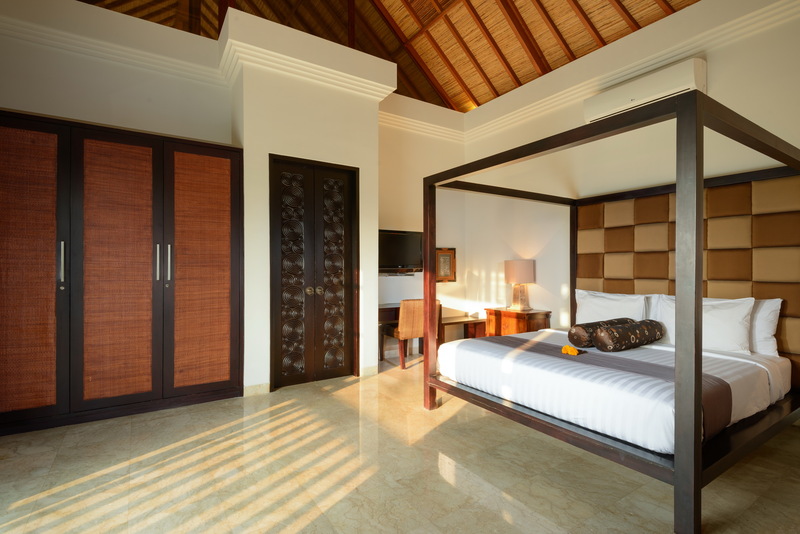 All of the bedrooms are in a separate pavilion while the master bedroom is by the poolside. 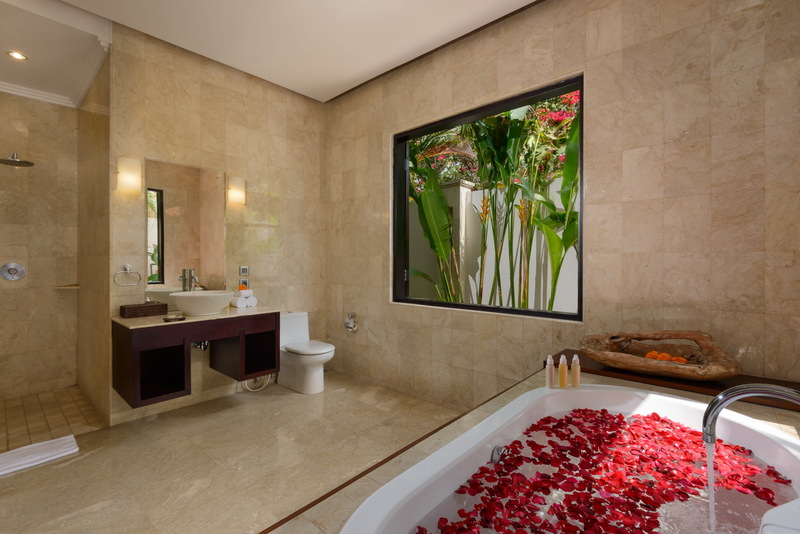 The master suite has a double vanity, a built-in Jacuzzi and a walk-in closet. 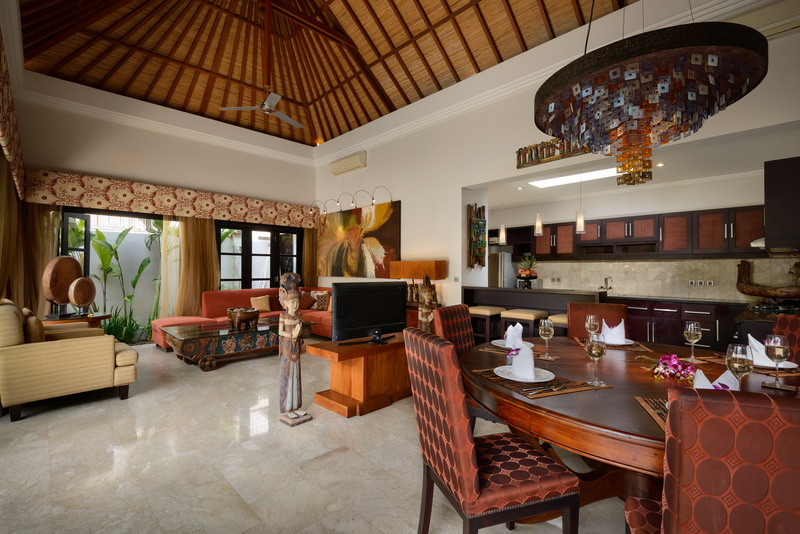 The entire property is 650 square meters. Enjoy your stay at Villa Amman with the help of the amazing staff, all experienced and professional. At your villa, you have a butler available to assist you. A pool attendant and a gardener are also available for the maintenance of the outdoor spaces. 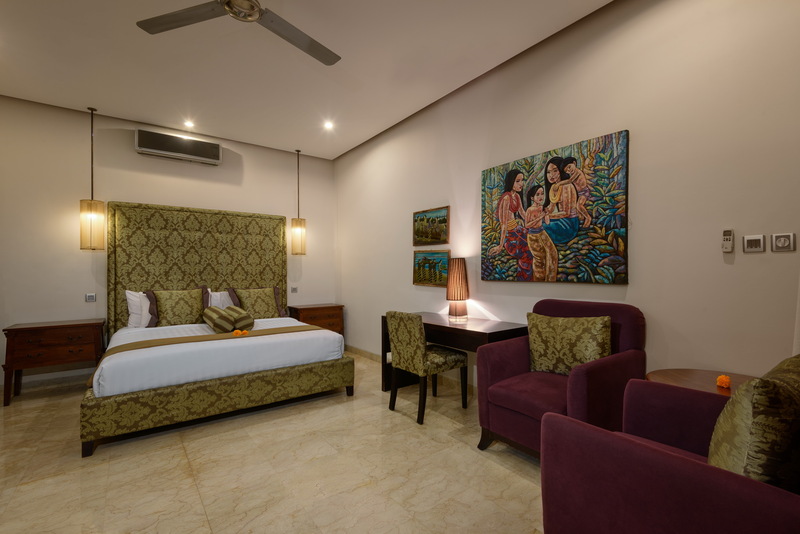 These staff will assist you warmly and hospitably and they will cater to your every need so that you don’t have to worry too much on your vacation. Villa Amman is at the heart of the most sought-after spots within the area. 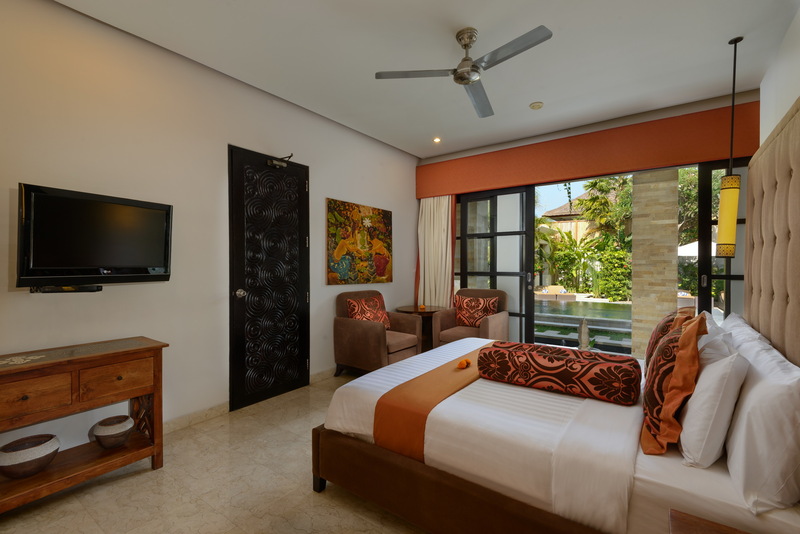 The beach is just a walking distance from The Residence Seminyak villa resort where in Villa Amman is located. Enjoy a short stroll to get to Seminyak’s famous ‘Eat Street’ at Jalan Laksamana. You can also take a stroll to Kudeta where you can enjoy sunset drinks and have dinner right after at the La Lucciola restaurant. 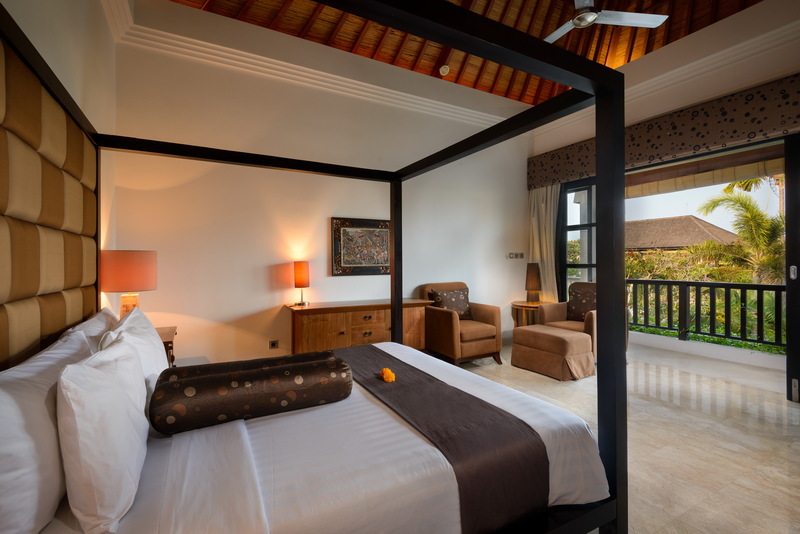 Here at Villa Amman, we can provide you with everything you need – whether it is entertainment or various kinds of services. 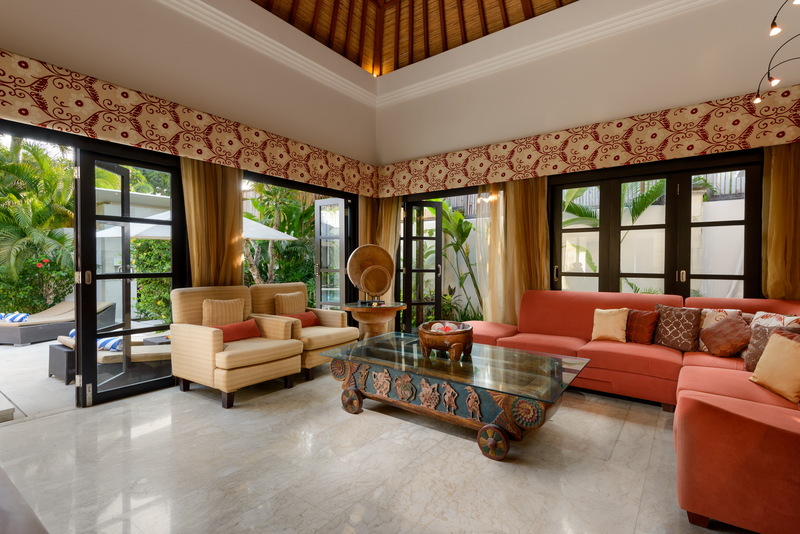 The beauty of Villa Amman matched with the beauty of Bali will leave you awestruck. So for your next vacation, we look forward to seeing you here with us!